Playing with the purity of geometric forms, the deceptively simple pieces exemplify the concept of “artisan craft meets precision engineering”. The uber-fine borders and delicate finishing of the basins in natural stone are offset by elegantly masculine taps, mixers and shower heads. The Alfeo basin, created from a single block of natural stone, can be installed on its own or flanked by the Ciane series of modular drawers available in lengths of both 60cm and 90cm. 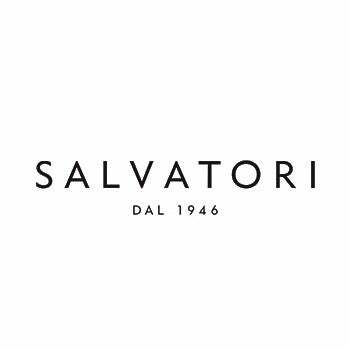 The collection is the result of a year-long creative research and development period during which Salvatori and Elisa Ossino perfected the design. The project was then entrusted to Fantini, who, with their decades of experience and expertise, were the natural choice to develop and produce the tapware. As with the Stiletto and Filo collections, Fontane Bianche is based on the Plug & Play philosophy, in that it is extremely simple to install, and comes supplied complete with waste and brackets. The basins and floating shelves come in Bianco Carrara, Gris du Marais, Pietra d’Avola and Crema d’Orcia, while the tapware range is available in gun-metal coloured aluminium and chrome.